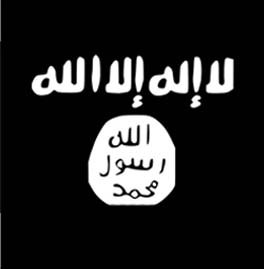 The US State Department announced the terrorist designations of three Islamic State operatives on June 15. The designations underscore the global nature of the self-declared caliphate’s threat, as two of the men have been responsible for a number of plots in Europe and India. The third has repeatedly attempted to convince his fellow Bahrainis to join the group’s cause. One of the jihadists, Oussama Ahmad Atar (pictured on the right), was a “leading coordinator” for both the assault on Paris in Nov. 2015, as well as the follow-on attacks in Brussels in Mar. 2016. It has long been known that the two plots involved common personnel, but Foggy Bottom’s announcement confirms important details. 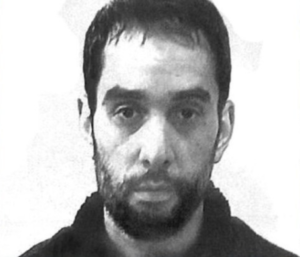 Atar, Belgian-Moroccan national also known as “Abou Ahmed,” is described as “a senior leader of ISIS’s external operations efforts,” who “has established a network to carry out attacks in Europe.” He was allegedly “responsible for recruiting, training, and sending at least some of the individuals to Paris to launch the November 2015” terrorist operation. Those two bombers were Atar’s cousins — Ibrahim and Khalid El Bakraoui, brothers who blew themselves up at the Zaventem airport and the Maalbeek metro station, respectively. 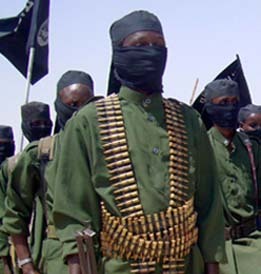 Atar is a veteran of al Qaeda in Iraq, the predecessor to the current Islamic State. Some accounts place him in Iraq or Syria as early as 2001, before the US-led war against Saddam Hussein’s regime. Atar was detained in Iraq sometime in 2004 or 2005 (publicly-available reports offer conflicting dates), convicted of illegally entering the country via Syria, and sentenced to a decade in prison. 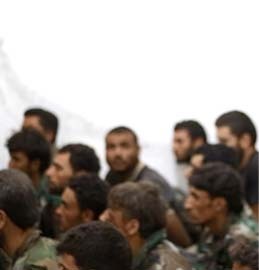 At the time, Bashar al Assad’s regime hosted a major facilitation network for foreign fighters seeking to join the jihad against the Americans in Iraq. 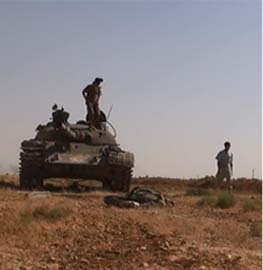 This pipeline would later blow back on Assad, leading to the creation of the Islamic State, Al Nusrah Front and other jihadist groups opposed to the regime. Amnesty’s brief biography of Atar noted that he had been held in the prisons at Abu Ghraib, Camp Bucca, and Camp Cropper. He was held at Al-Rusafa prison at the time of Amnesty’s notice in Sept. 2010. These same facilities once held many of the figures who would go on to become terror kingpins, including the so-called caliph, Abu Bakr al Baghdadi. Andre Jacob, who served as a senior counterterrorism official in the Belgian government, interviewed Atar while he was in custody in Iraq. Later, after Atar had become notorious for his role in facilitating attacks in Europe, Jacob told CNN that Atar was “someone who wanted to almost apologize.” “He was understanding that he made mistakes and he should have never gone to Iraq but he didn’t see any exit,” Jacob claimed, portraying Atar as someone who was simply caught up in events beyond his control. “Our conclusion…was that this person could potentially be recuperated but it was just a suggestion,” Jacob explained to CNN, adding that the Americans didn’t agree. One is left to wonder why Atar would be “experimenting with grenades” if he wasn’t preparing for combat. Jacob also conceded that “others linked to terror” were in the car with Atar, and Atar admittedly had contacts with jihadists. Atar and his comrades were also found to be in possession of weapons. Iraqi officials concluded that Atar was a member of al Qaeda in Iraq’s network. “Apart from the evidence which was in the Iraqi (files) which led to his indictment, there were other authorities that had information about him, not only the Iraqi government, that shows he was very involved with the Al Qaeda organization and that was proven by other parties,” Jawad Al-Hindawi, the Iraqi Ambassador to Belgium, said. Al-Hindawi also identified Atar as a member of “Al Fatah,” which CNN described as “an alleged terrorist network operating out of Syria under the pretext of offering Iraqis humanitarian aid.” This may be a reference to Fatah al-Islam, an al Qaeda-linked group with a complicated history. It is also possibly a reference to a predecessor to the group, which was formally launched after Atar’s imprisonment. Fatah al-Islam apparently had a relationship with Syrian intelligence, but Assad’s forces ended up clashing with the jihadists. The organization’s leader was also reportedly a close ally of Abu Musab al Zarqawi, the founder of al Qaeda in Iraq. Despite the dossier compiled by Iraqi and American officials, Atar was freed from custody in Iraq a few years before his sentence was completed. Atar’s tumor, which was supposedly a grave concern in 2010, proved to be illusory. He returned to Belgium, but later disappeared and joined Baghdadi’s self-declared caliphate. After he became infamous as an Islamic State operative, Iraqi officials blamed Belgium and others for calling for his release. Highlighting the security challenges that European officials now face, Atar is believed to have snuck back into Belgium as late as 2016. Politico, which obtained a copy of his arrest warrant, first reported that Belgian authorities narrowly missed him last summer. Security officials cited sources in Brussels’ Molenbeek neighborhood, which has a significant extremist presence, as saying that Atar had returned. According to Politico, authorities found a laptop with audio recordings addressed to “Abou Ahmed” (Atar) and which discussed how to build explosives. The computer provided a key link between Atar and his aforementioned cousins. Besides his cousins, Atar recruited other family members and acquaintances for his network, using social media to bolster these ties from abroad. Two jihadists with familial ties were connected to another plot in Belgium. It is not surprising that Atar would rely on people he knows to enhance his efficacy as a terrorist planner. Other Islamic State external operatives have also relied on their personal rolodexes to increase the terror network’s reach as well. French authorities discovered Atar’s links to the Nov. 2015 Paris attacks. Le Monde first reported that he is suspected of recruiting two Iraqi suicide bombers who detonated their explosives at Stade de France. The operations in Paris and Brussels highlight the degree to which European counterterrorism officials have been overwhelmed at times, as known threats participated in both. Abdelhamid Abaaoud, a key figure linking both plots, was even featured in the Islamic State’s Dabiq magazine months before he and his comrades assaulted Europe. Several of the Paris terrorists also participated in grisly executions in Iraq and Syria before being deployed in the West. In addition to Atar, State added Mohammad Shafi Armar and Mohammed Isa Yousif Saqar Al Binali to the US government’s list of designated terrorists. 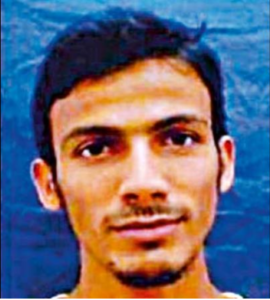 Mohammad Shafi Armar (seen on the right) is described as “a leader and head recruiter” for the Islamic State in India. “He has cultivated a group of dozens of ISIS sympathizers who are involved in terrorist activities across India, such as plotting attacks, procuring weapons, and identifying locations for terrorist training camps,” Foggy Bottom explains. 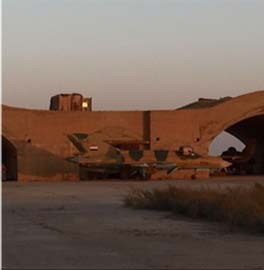 Last year, press reports mistakenly indicated that Armar had been killed in an airstrike. Over time, as has happened with other jihadist groups linked to al Qaeda’s network, some of the IM’s members gravitated to the Islamic State. One of them is the newly-designated Mohammad Shafi Armar, who has been tied to a number of plots in India. After his older brother was killed, the junior Armar became head of Ansar-ut Tawhid fi Bilad al-Hind (AuT), which aligned itself with the self-declared caliphate. Like other Islamic State “external” operatives, Armar has made use of social media applications to communicate with his followers abroad. According to the Deccan Chronicle, Indian authorities discovered that Armar has been using “Facebook, WhatsApp, Trillion, Skype, Surespot, Twitter, Nimbuzz and Telegram” to coordinate his plots. 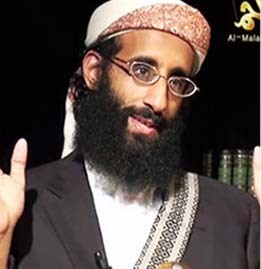 Mohammed Isa Yousif Saqar Al Binali is also described as “a senior member of ISIS” by State. Binali left his native Bahrain in 2014 and “has since appeared in multiple ISIS propaganda videos calling on Bahrainis, specifically members of Bahrain’s security forces, to join ISIS.” Binali is reportedly a former “officer” in Bahrain’s Ministry of Interior, making his pleas especially dangerous.